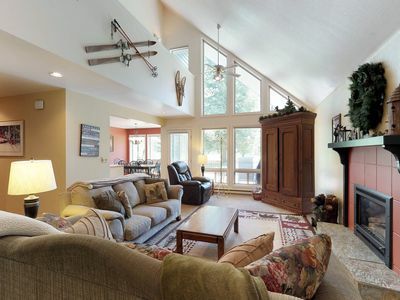 Snowmobile right from the house and just minutes to Tamarack Resort! 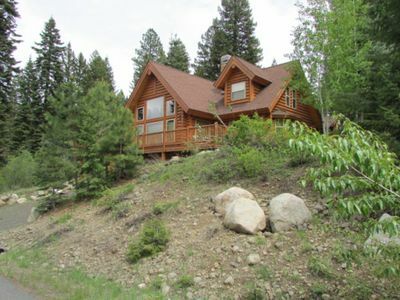 This 3BR/4BA home features additional paved parking for a snowmobile trailer where you have direct access across the lake and up to No Business Road on your sleds. 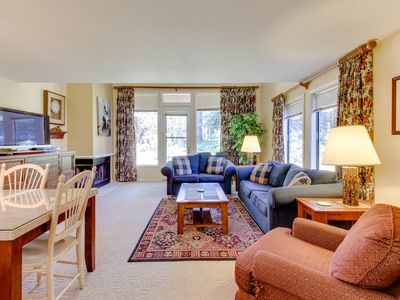 A total of 2,850 SF, the open concept floor plan is great for a large gathering but still cozy for a quaint get away. 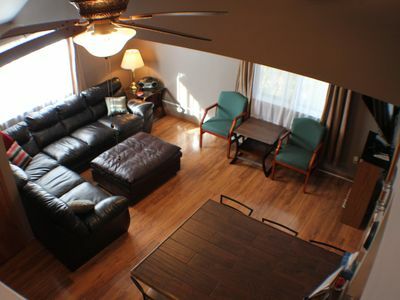 The great room features plenty of seating, a gas fireplace and a new 50" Smart TV. 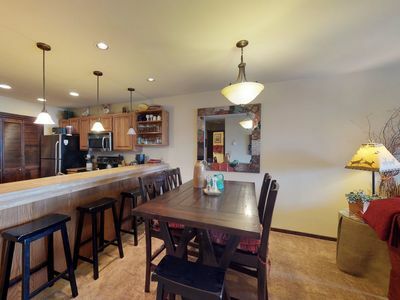 Enjoy the fully equipped kitchen with a set of 16 housewares and large dining table. 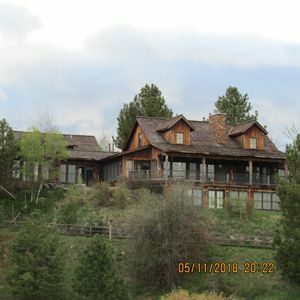 There are two master suites with king beds, one additional bedroom with a queen bed, large loft with pull out sofa, game table and sitting area. 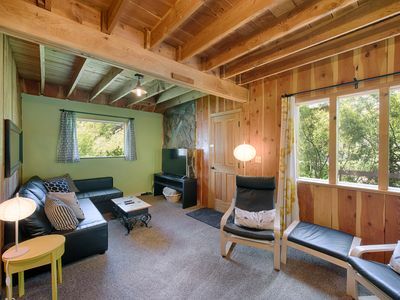 The 350 SF bonus room above the garage features a 3/4 bathroom, king bed, two twin beds and a new 50" Smart TV. This home provides plenty of options to sleep 12 people. The oversized 2 car garage includes snowmobile garage doors for easy access to the vast playground just outside the property. 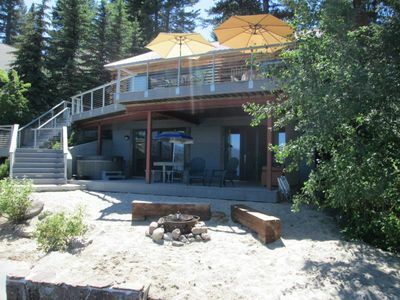 Enjoy the large covered deck with a hot tub after a long day adventures! 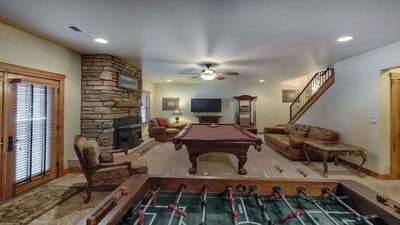 Wifi, DVD's, game and game table provided. 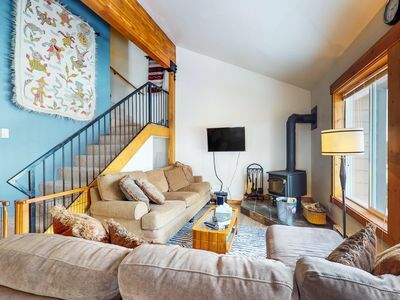 Well-stocked condo w/ wood stove and shared pool/tennis! 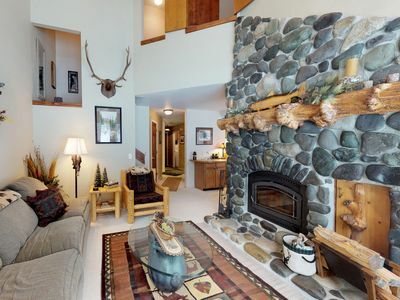 Enjoy a shared hot tub, swimming pools & gym, close to golfing and Payette Lake! 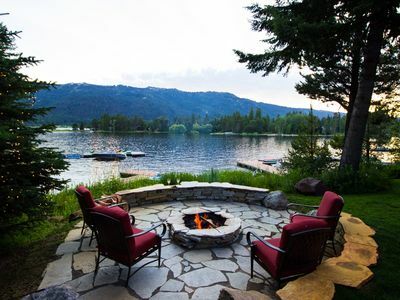 Dog-friendly, luxury cabin w/ shared pool & hot tub - year-round outdoor fun! 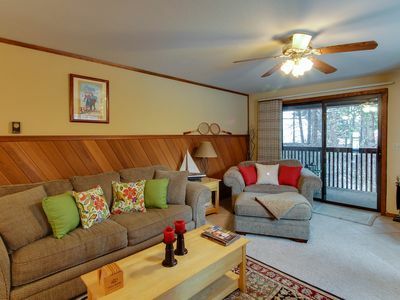 Lofty condo with a balcony, a great location & shared pools, hot tub & gym! 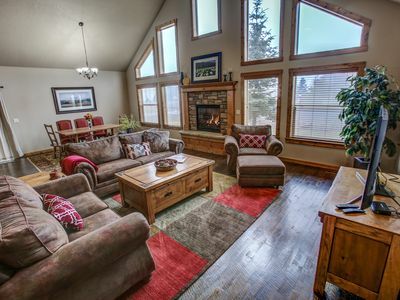 Peaceful house on the golf course - lovely views and private hot tub!